Space Research Centre of Polish Academy of Sciences (CBK PAN), together with its partners: Cité de l’espace and National Space Centre, has taken the realization of an educational project From a screw to a satellite – the best practices of teaching physics in lower secondary schools and physics with astronomy in upper secondary schools. Due to the long title, the acronym is often used: project SAT, the project raised as a part of the Erasmus+ program. The SAT project answers current issues regarding teaching physics in public schools in Poland, France and the United Kingdom. According to the research conducted in 2014 by TNS Polska over 53% of all students in Poland dislike physics lessons and as much as 66% of parents consider them to be taught in utterly uninteresting manner. Each organization partaking in the project is willing to exchange experiences and good practices of teaching physics. The cooperation did not end on reports or publications. Coordinators and teachers committed to mutual visits in order to personally find out what interesting lessons may look like. Through our actions we aim to reach teachers of physics and other sciences to support their work starting from the base level of defining what the student are tought. We aspire to see more common use of ICT, interdisciplinary knowledge and students working in groups during lessons in Polish schools. including the space context into physics lessons. SAT project is a partnership of three institutions initiated by the Space Research Centre of Polish Academy of Sciences. 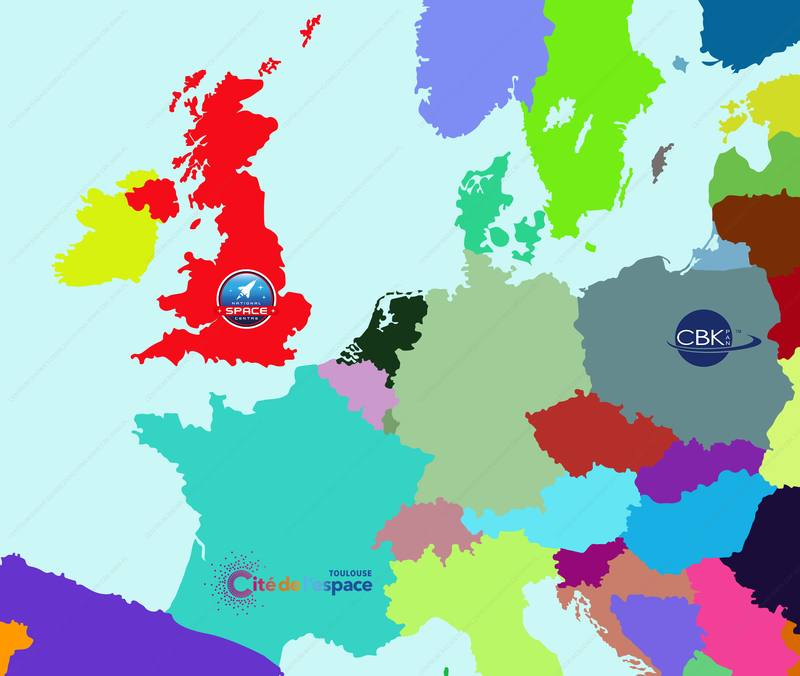 We are supported by Cité de l’espace (Toulouse, France) and National Space Centre (Leicester, United Kingdom). National Space Centre is both a museum and an educational institute devoted to space exploration, space science and astronomy, collaborating with University of Leicester on the space research program. Its whole building is filled with rockets, satellites, martian surfaces and other authentic space artifacts. NSC cooperates with BBC, CNN, ITV, Channel 4, Channel 5, National Geographic and many others providing them with educational contents. We encourage you to check out the conference materials of our foreign partners. ready to use educational projects containing scenarios, time-sheets and experiments’ descriptions. The SAT project actions should have an influence on teaching physics. Schools in which the educational projects will be carry on should expect positive results in students marks analysis in a very short time from its incorporation. Students will also benefit from the SAT project. The alteration in methods of teaching should not only affect their interest in physics but also increase their understanding of physical processes.